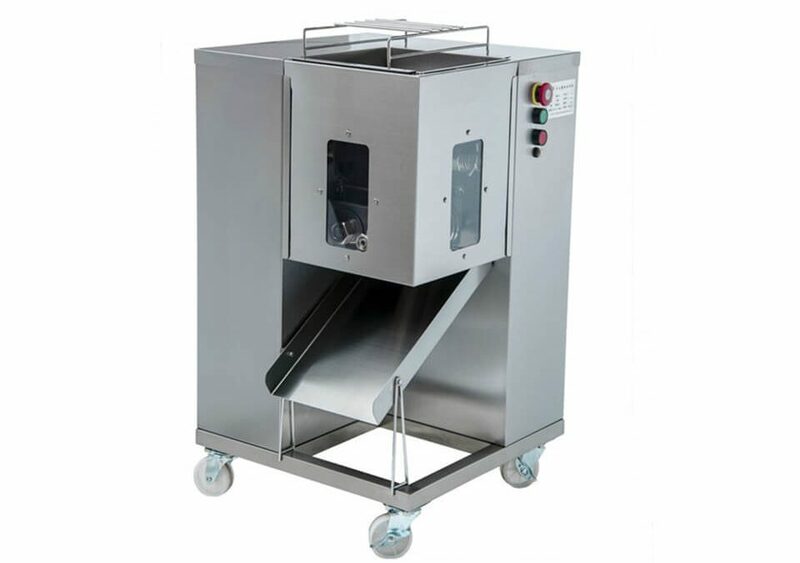 Meat shredder machine is designed to cut various meats into strips, slices, pieces and cubes. 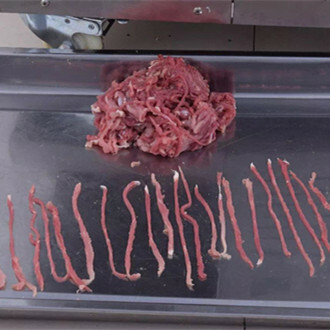 By simply changing the cutters, you can choose to cut meat into different sizes and shapes. 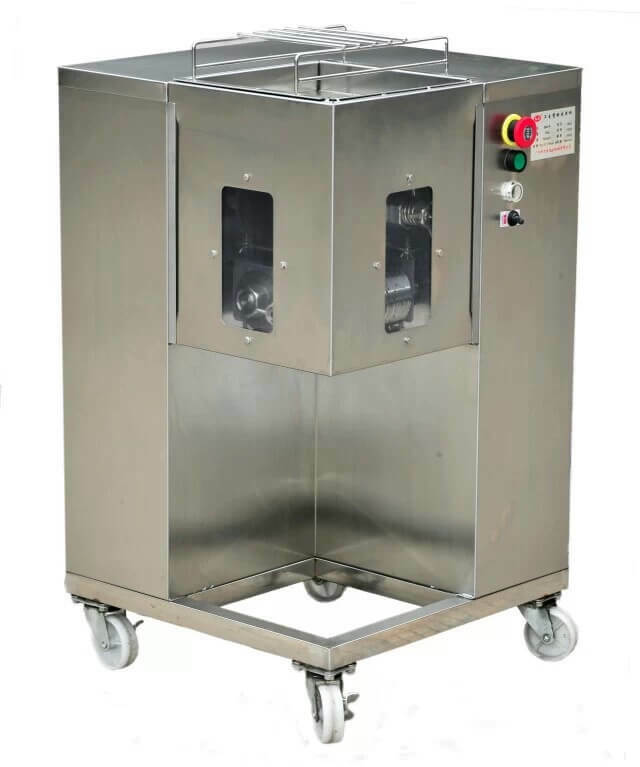 With high cutting speed and wonderful cutting result, the meat cutting machine is the best choice of barbecue shops, restaurants, hotels, school canteens, and some other meat processing industries. 1. 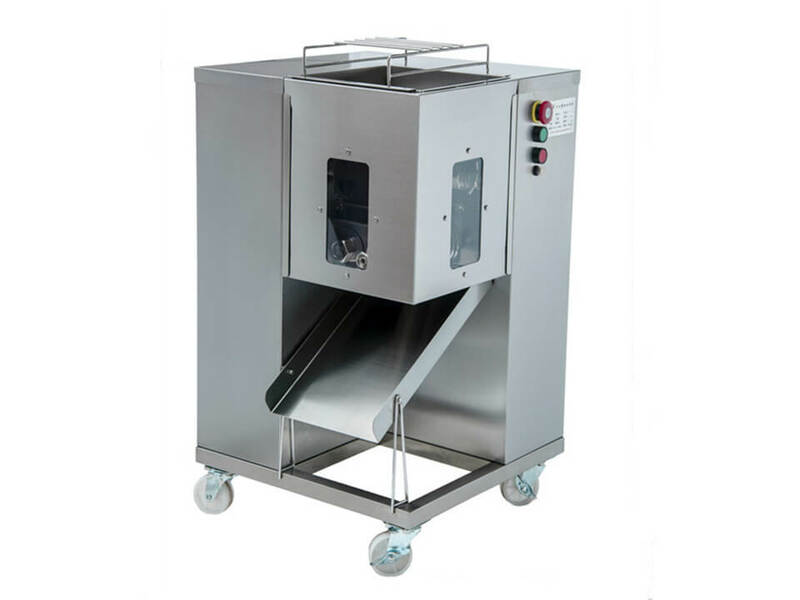 This machine can cut meat into different shapes, sizes and thickness. 2. Equipped with moving wheels. 3. Equipped with safety protection switch which can avoid any danger. 4. 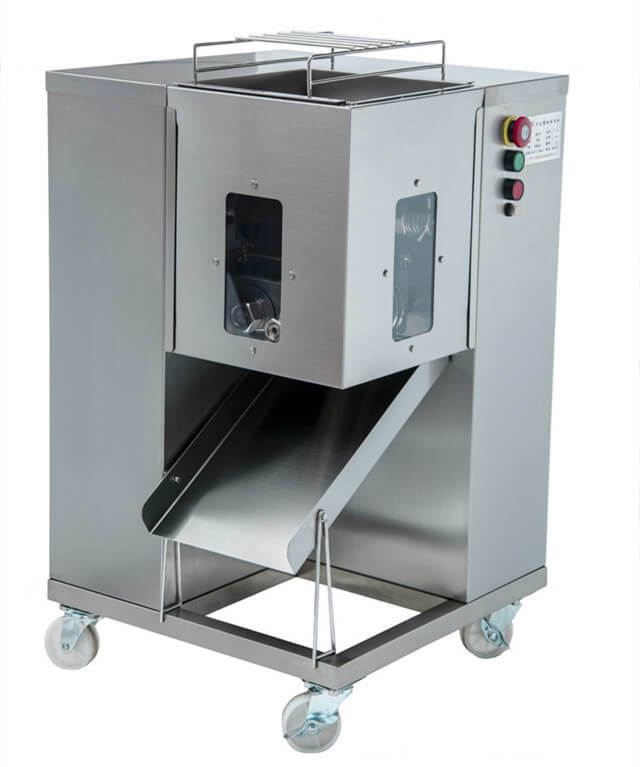 Stainless steel blade, sanitary and durable. 1. Make sure that your power supply is equipped with a leakage protector. 2. 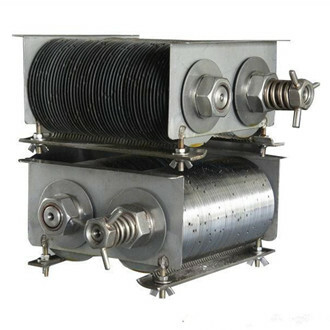 Check whether the earth wire is connected well. 3. Slowly put the meat into the feeding inlet after being deboned. 4. 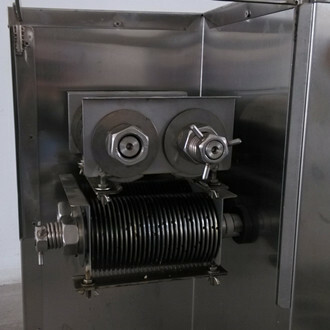 Properly change the cutter: cut off the power; open the shield, remove the nuts and hold down the spring; pull the cutter with your hands holding the snob of the cutters tightly.